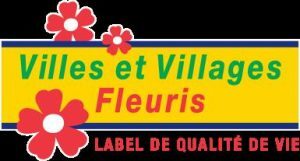 The label rewards a process of valorisation by the plant which is part of a global and long-term municipal ambition. the label is now committed to issues such as improving the living environment, developing the local economy, tourist attractiveness, respect for the environment, the preservation of the social bond and especially the place of vegetation in the development of public spaces. Why did the municipality want to participate? The municipality wanted to participate because it strives to enhance the living environment and its tourist attractiveness in respect of the environment. You can download the dossier de présentation 2017. What does the jury’s decision say? 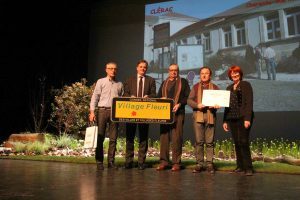 The jury met on 16 October 2017 and decided to award the label “1 fleur” to the commune of Clérac. Despite this, some improvements are to be implemented (inventory of public spaces, training on the size, flowering in the ground to prefer …), encouragement to continue the educational garden at the level of the children were given also. The municipality received the thanks of the jury for the visit, the commitment of the elected officials and technicians and their will to make live the village in an approach respectful of the environment by associating the inhabitants there. Opposite the photo of the awards ceremony of January 12, 2018 (the technicians could not be present that day).